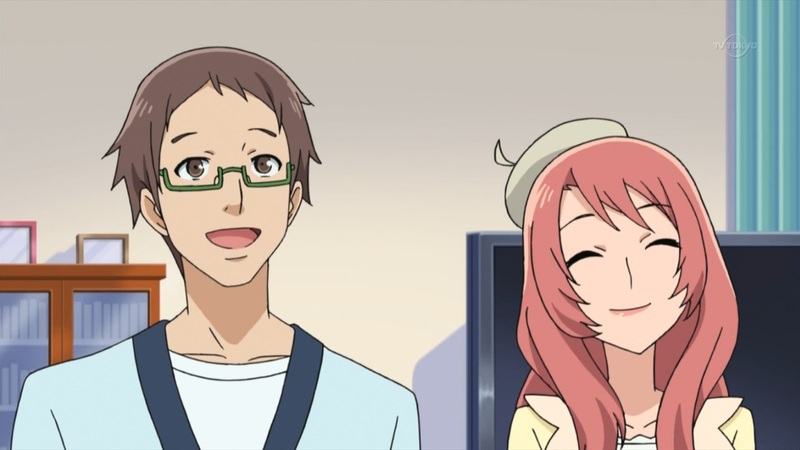 In this episode we finally get a proper introduction for Mihama Kouji, the hipster guy who sings on roofs. 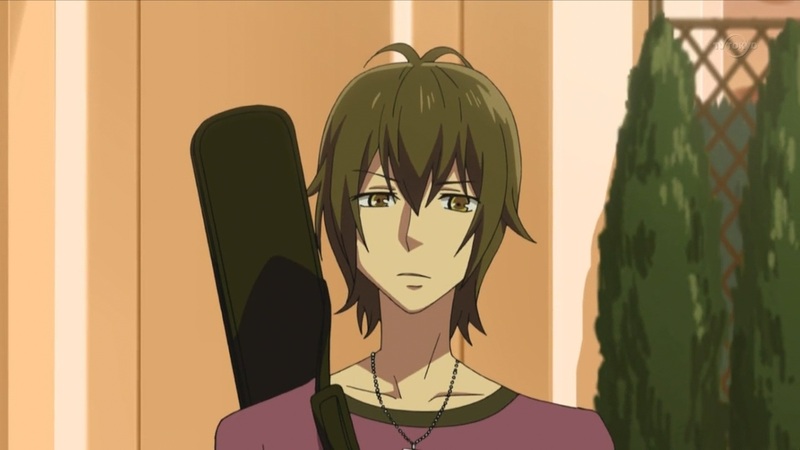 He’s grown to dislike anything Prism Show-related after a guy he knows called Hiro used one of his songs for his own Prism Show debut, without revealing that Kouji was the song’s author, stealing all the credit. 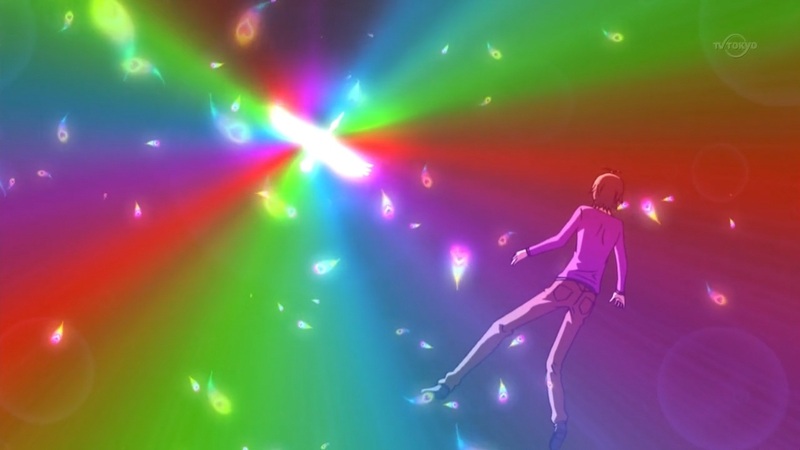 Naru managed to open back his heart with her Ugly Duck fairytale that had a nice dose of Prism Radiance. Romantically, I’m not sure whether he’ll end up with her or Ito. It’s a good idea the staff had to not make it obvious. Needless to say, I broke down in tears of laughter seeing this scene. I hope there’s more cameos like that. Naru’s parents got more screentime this week and it’s thanks to them she managed to persuade Kouji to write her song. 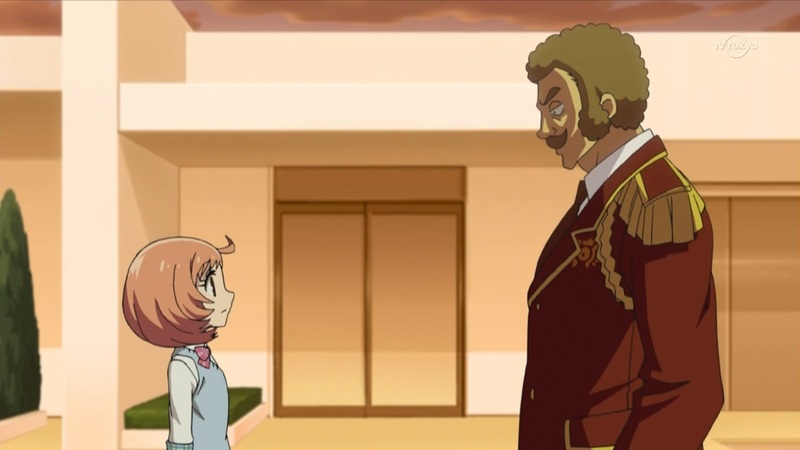 Her dad Ryuunosuke is voiced by Chiba Susumu, who did JUN in the previous seasons. Her mom Poemu is voiced by Yuzuki Ryoka. As of Naru’s prism show, I loved her dance, especially the side-sliding with both feet thing. I can’t help but think she did her own version of La Dance Des Canards, would be pretty funny if that’s what the staff had in mind, the episode did feature the Ugly Duck’s fairytale after all. However I didn’t like the song, too idol-ish for me. I’ll probably won’t post about next week’s episode, I have midterms. That’s also why I posted this week’s so early. 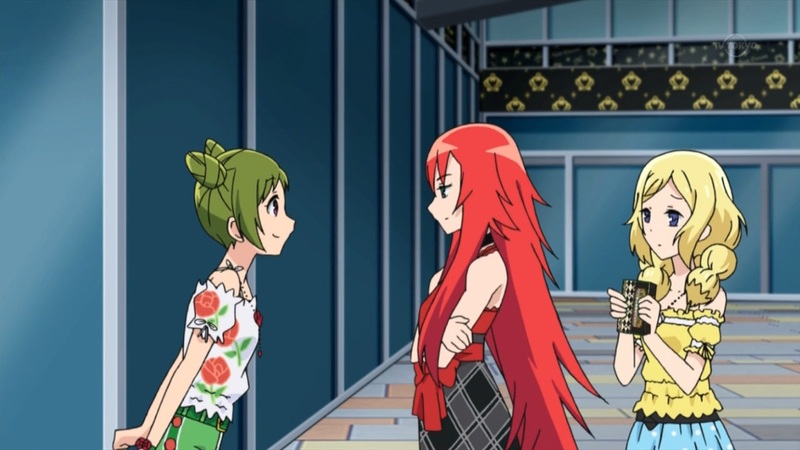 This entry was posted in Opinions on..., Pretty Rhythm and tagged Anime, La danse des canards, Pretty Rhythm, Pretty Rhythm Rainbow Live, TANAKA DESU on May 5, 2013 by rockmanshii.